Masuzoe’s visit to Beijing shows China is willing to interact with Japan — but only on its terms. Yoichi Masuzoe, Tokyo’s governor, arrived in Beijing yesterday to begin a three-day visit that he hopes will help improve the frosty relationship between China and Japan. “I think it would be good if our city-to-city diplomacy could lead to an improvement in relations between Japan and China,” Masuzoe told reporters, noting that he was traveling to China at the invitation of Beijing’s municipal government. Although then Tokyo Governor Shintaro Ishihara visited Beijing in 2008 for the Olympics, it’s been 18 years since a Tokyo Governor was specifically invited for a visit by Beijing’s government. Friday, Masuzoe met with Beijing’s mayor, Wang Anshun. The two discussed China’s experience hosting the 2008 Olympics, as Tokyo will host the 2020 games. Masuzoe also invited Wang to visit Tokyo, and Wang reportedly agreed to visit as early as 2015. However, in addition to specific city-to-city discussions, Masuzoe also met with former State Councilor Tang Jiaxuan, who is currently the head of the China-Japan Friendship Association. According to Masuzoe, Tang told him the invitation from Beijing was a sign of China’s desire to improve China-Japan relations. Japan’s Prime Minister Shinzo Abe has also expressed his hope that Masuzoe’s visit would help thaw tensions between China and Japan. According to Asahi Shimbun, Abe hopes that Masuzoe’s visit will help pave the way for talks between Abe and Chinese President Xi Jinping at this year’s Asia-Pacific Economic Cooperation summit (to be held in China this November). China has also announced that it will take foreign journalists on a trip to visit sites memorializing the legacy of Japanese imperialism, including the Ahn Jung-geun Memorial Hall in Harbin and the site of World War 2-era atrocities carried out by the infamous Unit 731 of the Japanese Army. Earlier this year, China organized a similar trip for reporters to highlight the evidence of and memorials for the Nanjing Massacre. The new trip may be a signal that China is getting ready to relaunch its global media campaign against Japan, something that had largely died down in recent months. Against this backdrop, it’s hard to see how Masuzoe’s visit will make much of a dent in wall currently separating China and Japan. Still, China’s Foreign Ministry did have positive comments about the visit. “We have always been supportive and positive about civil and local exchanges between China and Japan,” spokesman Qin Gang said in Thursday’s press conference. Beijing has now signaled that it’s willing to work with a certain subset of Japanese officials: those who have proven friendly towards China. Indeed, the recent interactions with Japanese officials (mostly retired) has largely been limited to those seen as “pro-China,” including former Prime Minister Yasuo Fukuda and former Foreign Minister Yohei Kono. Masuzoe himself is also seen as friendly towards China. By granting these figures diplomatic privileges denied to Abe and his allies, China may be hoping to undermine support for Abe within Japan. In other words, Masuzoe’s visit to Beijing is not a sign that China is willing to mend ties with Abe — just the opposite, in fact. 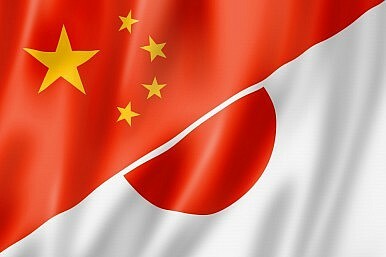 The recent signs of cooperation between China and Japan reveal that Beijing is limiting its interactions with Japanese politicians to those perceived as “pro-China” or at least in favor of friendly ties with China. Abe is definitely not on that list.